Visiting program is for students in non-partner universities who wish to study at SNU for one or two semesters and transfer credits to their home institution. 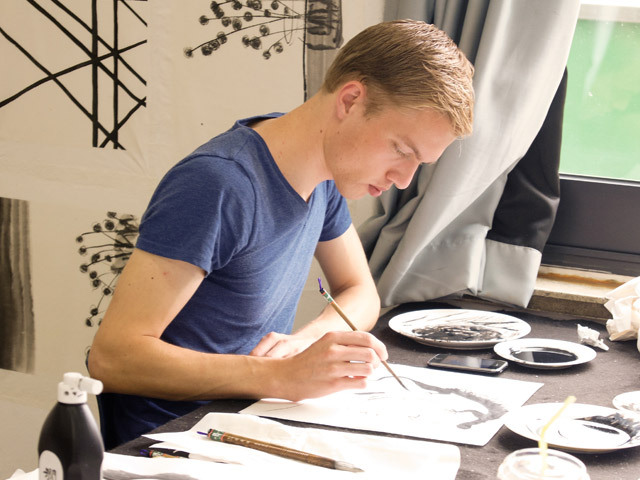 Visiting students must apply individually and will pay the tuition fee to SNU. Language proficiency of either English or Korean is highly recommended, but no certification is required. THE COLLEGE OF BUSINESS ADMINISTRATION is restricted to students who are currently majoring in business or economics at their home university. Applicants who apply for the KOREAN HISTORY/ PSYCHOLOGY/ STATISTICS/ PHARMACY department must provide proof of Korean language ability. A satisfactory level of Korean language ability should be either (1) Level 5 or above of official Korean Language Proficiency Test or (2) Level 5 or above of the Korean Test conducted at the SNU Language Institute. THE COLLEGE OF LAW is NOT open to undergraduate level students from Spring 2018. * School of Law, a specialized law school for graduate level students, will be open to undergraduate level students from Fall 2018. Please note that these undergraduate students will be enrolled as graduate (Master’s) students in SNU law school during their study. SCHOOL OF DENTISTRY is open ONLY to graduate students currently enrolled in a master program at School of Dentistry or equivalent at their home university. * Application schedule will be posted from the middle of January to March 20 (for Fall admission) and from the middle of July to September 20 (for Spring admission) on the homepage of the OIA website. IMPORTANT NOTES :Visiting program candidates must complete Both Online Application and Postal Submission of the documents. APPLICATION DOCUMENTS ARE NON-RETURNABLE ONCE THEY HAVE BEEN SUBMITTED TO THE OIA. Please be aware that we will be unable to continue processing your application if you do not submit ALL the required application documents. 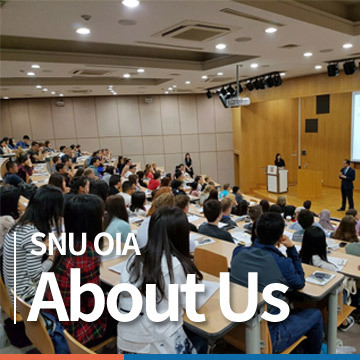 For more detailed information, please see the FAQ menu (http://oia.snu.ac.kr/page/visiting_program_faq.php) or contact Ms. Joo Hyun PARK (jd4ever@snu.ac.kr).